Imagine a meditative yoga session... on the Pacific Ocean. 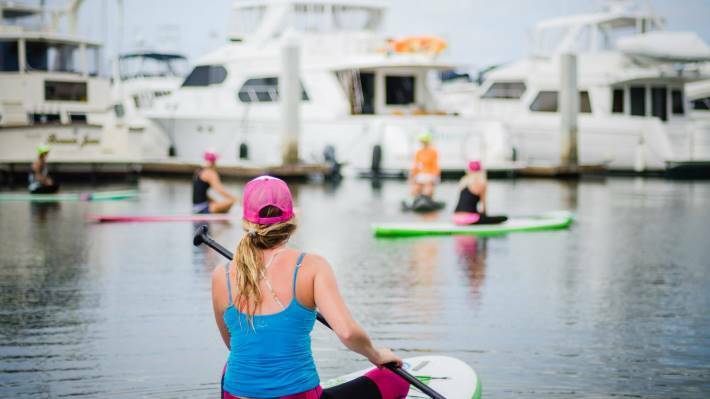 Standup paddleboard yoga, or SUP yoga, offers a refreshing twist on the typical yoga studio experience. The beginner friendly sport of standup paddleboarding uses a long and sturdy board that can double as a yoga mat for those needing a challenge and looking to energize their normal yoga routine. An intense combination of balance and mental focus ensures a full body workout. The paddle out creates an instant sense of bliss followed by a warm ocean breeze as you ease into warrior pose. SUP yoga in Huntington Beach offers the freedom of "walking on water" that cannot be found at an indoor studio. Looking to start now? 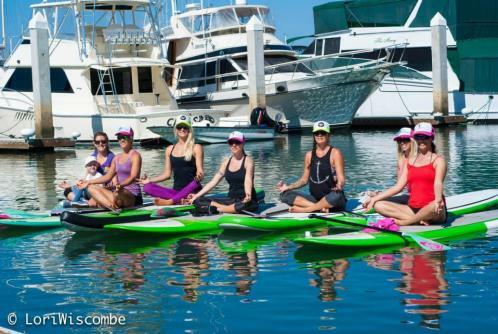 Paddle Into Fitness in Huntington Beach is perfect for all levels of SUP yoga, from first timers to the more advanced. Check out a list of their classes here.